When I opened my curtains on Sunday morning, it looked like a bit of a gamble as to whether my local car boot fair would be up and running as storm clouds appeared on the horizon. Indeed my instincts were right, as when I pulled up, the field was completely empty. So, I made my way over to my second favourite fair , where I had a very pleasant half hour of rummaging through boxes, before the heavens opened and the rain tumbled from the skies. 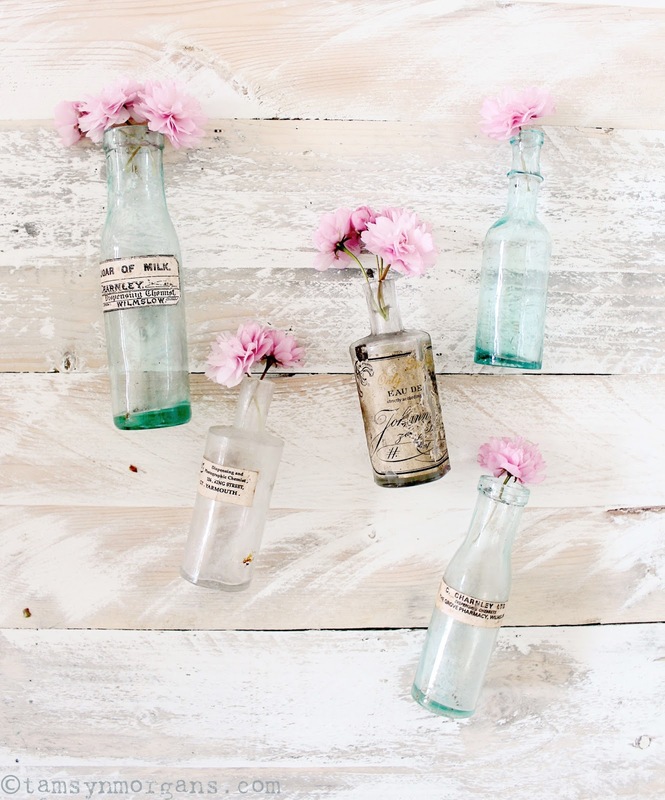 I shall share the rest of my finds with you tomorrow, but for now I just wanted to share these pretty bottles, which are perfect for displaying my first bloom buds from my little ornamental cherry tree in my garden. This little tree is very special to me, as my mum bought it for me when I lived at my old house, and I dug it up and bought it with me here. I’m so glad I did, as the next owners completely renovated the house and garden, and my little tree would have ended up in a skip. As for the bottles, I’m not convinced that all the labels are genuine, although the the beautiful label with the scrolled writing is the real deal. 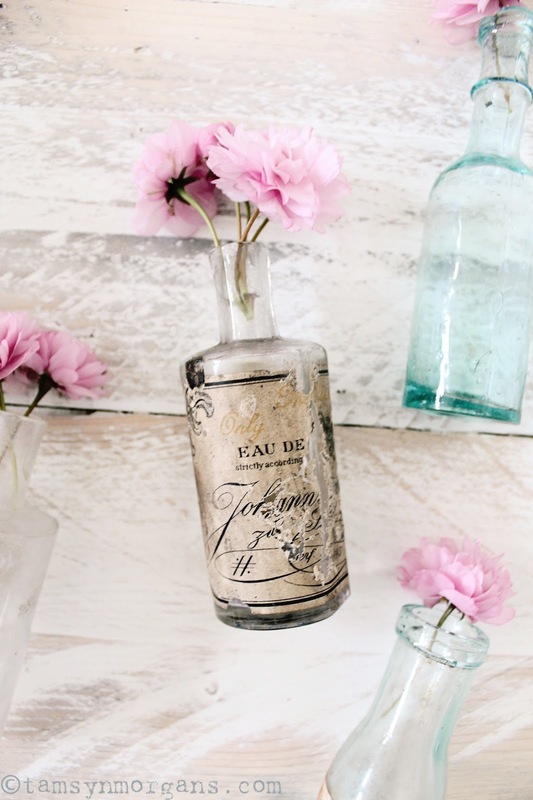 Flowers look whimsically pretty when displayed in old bottles, whether lined up on a mantelpiece, or down the centre of a table for afternoon tea. Believe it or not there is a sprinkling of snow outside my house this morning, which was a bit of a shock when I opened the curtains! It might call for sturdy boots to make the journey to work!